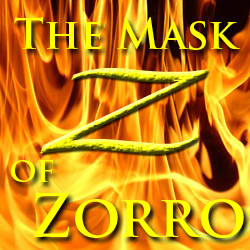 This marching band show will bring you audience to their feet with the latin sounds of The Mask of Zorro. From the dynamic and exciting soundtrack by James Horner, this impressive opener features a distinctive Spanish flair and plenty of visual possibilities. The ballad opens with woodwind colors before soaring through a full ensemble statement of the theme. The closing production really pours it on. Look for contrasting styles and meters, a percussion feature, and an exciting push to the end.